Fine Point Teal colored water soluble making pen. The Marvey pen comes as a pen that looks like the picture and also a completely teal colored barrel. Sunshine's Favorite water erasable pen. *Sunshine's note: Do not iron over these pen or pencil marks before they are removed or the heat will set the ink. Pen is perfect for Brazilian embroidery, silk ribbon embroidery, surface embroidery or any stitching that isn't counted thread! Also great for children's classes. Fine-point tip produces a very fine line. Do not iron over marks before they are removed as they will be set by the heat. A Transfer Pen that easily transfers designs permanently onto fabric, canvas, stabilizers, wood or just about any surface where a hot iron can be used.. 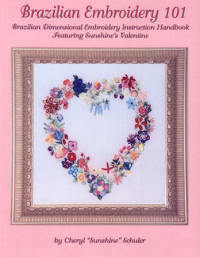 Perfect for all craft enthusiasts at all skill levels. Permanent - Non-bleeding - Ink glides on like a marker. Transfer 3-5 times with one application. Use Sulky Iron-On Pens with:. * Fabric Painting * Embroidery. * Tole Painting * Punch Needle. * Appliqué * Open Work like Lace,. * Cut-Work or 3-D Work * Shaded Heat Transfers. * Original Artwork * Labels for Quilts and Clothing. Real time-savers! Makes multiple copies from a single application! 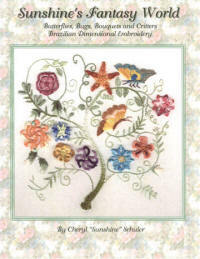 Pen is perfect for Brazilian embroidery, silk ribbon embroidery, surface embroidery. Pin-point tip produces a very fine line. Do not iron over marks before they are removed as they will be set by the heat. $3.50 The lead in the Transfer Pencil is of a special formula which will reproduce when slight heat is applied.